Spring is on the way and our Silk Boutonniere are starting to bloom! New this month in the Silk Ribbon Shop are our very Papilionaceous Petal Pins. 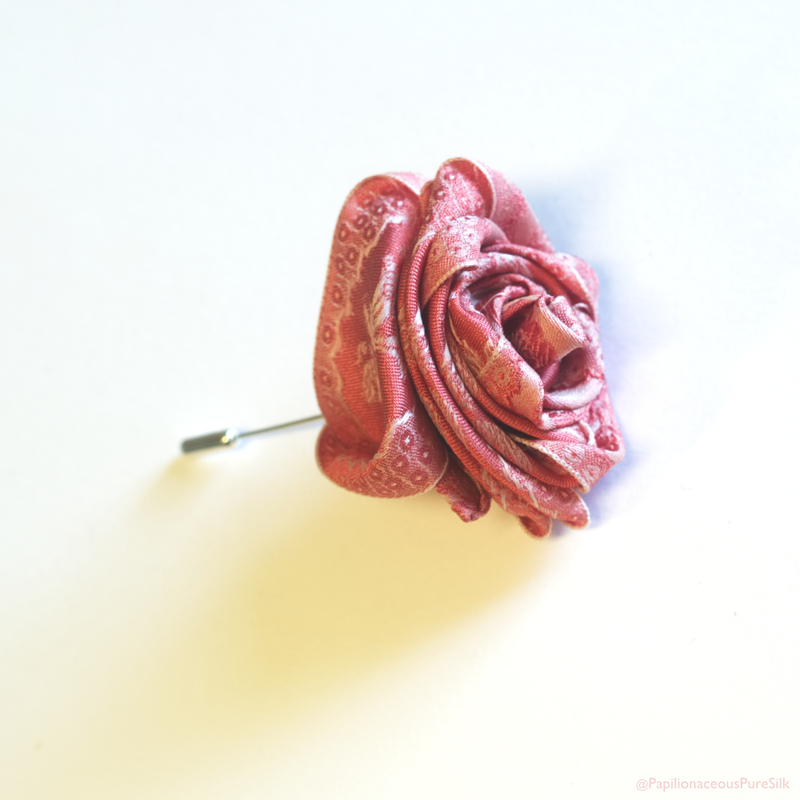 Papilionaceous Silk Flower made from Floral Papilionaceous Silk Ribbon. 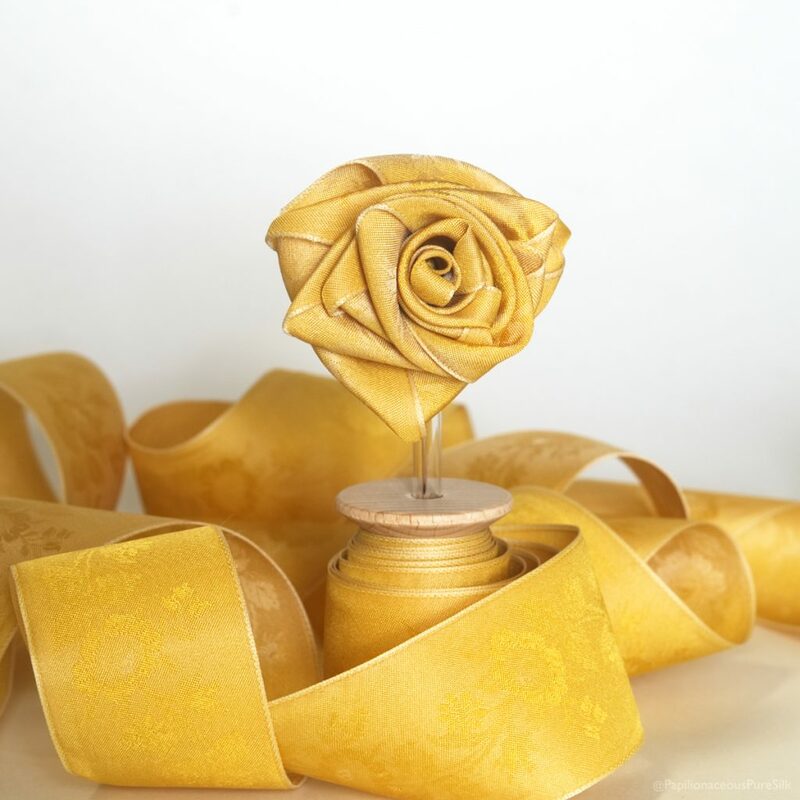 Individually made by hand in our South Devon workshop from our own jacquard silk ribbon. Each flower is mounted on either a Sterling Silver or 9 ct Gold stick pin. 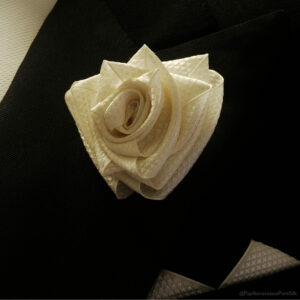 Crystal white Evening Wear Silk Boutonniere. Silk Boutonniere on vintage dinner suit. 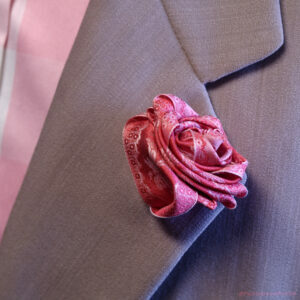 Boutonnière (French for ‘buttonhole’) are most easily located in the lapel buttonhole of a jacket. 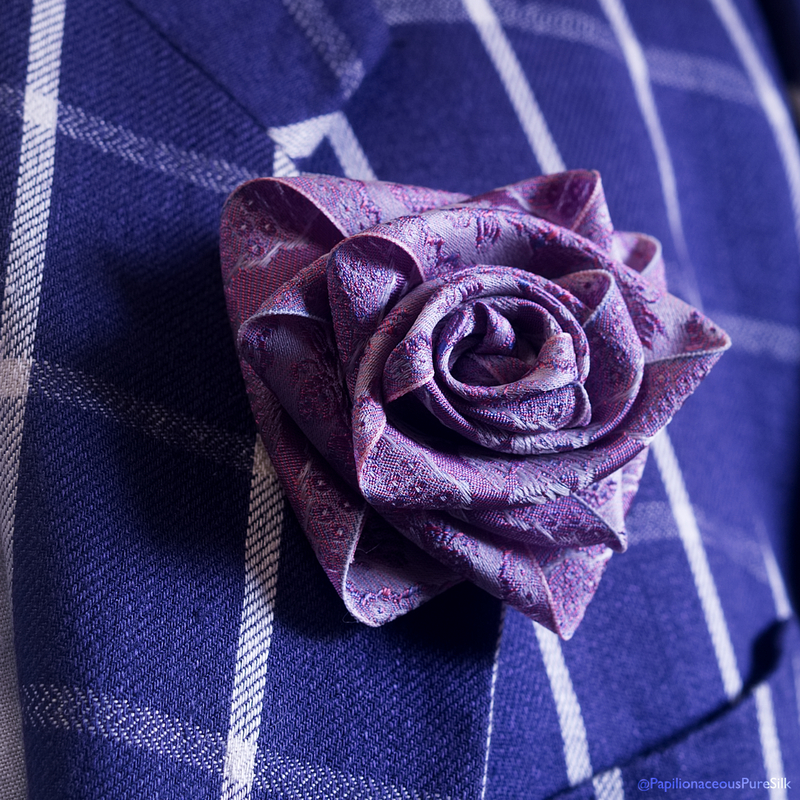 Not all jackets have buttonholes these days but we use a fine pin for our flowers and pushing it through a lapel presents little problem. 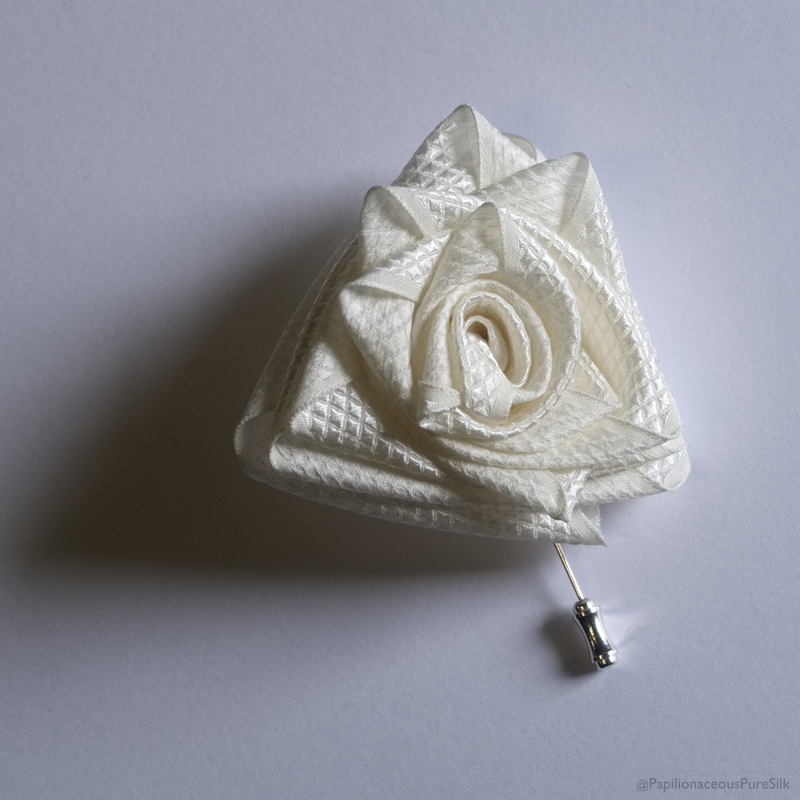 All pins come with a protector which is a push fit on the end after the pin has been properly located and helps prevent pricked fingers.